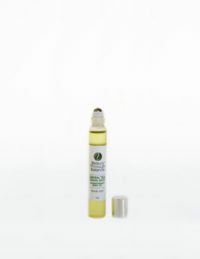 One of Beauty through Balances most popular products is now available in a concentrated spot treatment. Packaged in an elegant frosted glass travel size bottle with a silver roller ball applicator for easy application to any spot on the body. SKU: BTBAO Categories: Body Therapy, Special Needs, Travel Brands: Beauty through Balance.